There are a wide range of non-prime mortgage programs that various lenders offer. Different lenders offer unique guidelines, so the best way to narrow your search is to either get our assistance in matching you with a lender, or you can contact lenders directly. Most non-prime mortgages are unique loan products that are offered by non-bank mortgage lenders. The loan requirements, interest rates, and program details vary greatly. On this page, we have included a few of the top non-prime mortgage scenarios that our lenders provide financing solutions for. If you would like more assistance, we can also inform you of some more common loan programs that cater to borrowers that do not qualify for traditional mortgage financing. There are many different loan programs offered by mortgage lenders that provide financing to borrowers with lower credit scores (often referred to as “poor credit” or “bad credit”). What is considered to be bad credit is anything below a 620. Some of our lenders are approving borrowers with credit scores as low as 500! 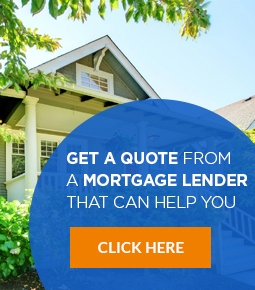 You can learn more about bad credit home loans, and we can also help connect you with the best mortgage lenders in your area that offer programs for people with bad credit. Believe it or not, in 2019 there are now many lenders offering mortgages even just 1 day out of a bankruptcy, foreclosure, or short sale! In order to qualify for any of these programs, you should expect to put a large down payment (around 20%). There are now many home loan programs for self employed borrowers. This includes a variety of options including more traditional mortgages, such as conventional, FHA, and USDA loans. A newer loan product that has increased in popularity tremendously this last few years are self employed bank statement mortgages, which are often referred to as the new “stated income loans”, or alternative income documentation loans. Today’s stated income mortgages are referred to differently by various lenders. These are not the same type of stated income loans of the past where you did not have to provide any documentation at all. Nowadays, lenders require 12-24 months worth of bank statements as an alternative form of documenting income. This is immensely useful for self-employed borrowers, and others who may not be able to provide 2 years of tax returns. ITIN loans provide undocumented immigrants an opportunity to get a home loan without a social security number. ITIN stands for “Individual Taxpayer Identification Number”, and acts similar to a social security number for tax purposes. You can learn more about ITIN loans, and see if you are eligible. Keep in mind, an ITIN loan is not the same as a foreign national mortgage, even though both types of mortgages are available for foreigners. Foreign national mortgages are available to non-citizens of the United States. You do not need a social security number or ITIN number in order to qualify. Some lenders may want to see alternative forms of credit to see your history of making payments on time. Also, your employment and income (whether from in the USA or in your home country) will be reviewed. As far as we are aware, all foreign national mortgage lenders will require at least a 20-25% down payment. Do you have a lot of assets, but little or no income? An asset based mortgage may be the perfect solution for you. These mortgage programs are often referred to as asset depletion loans. This type of mortgage allows you to qualify for your mortgage using your assets. You do not have to prove any current employment or income, but must meet certain assets requirements depending on how much you want to borrow. Do you have low or average income? Are you interested in purchasing a home in a rural area (or just outside of larger towns)? The USDA rural development loan offers a unique opportunity to buy a home with no money down. How it works, is your income must not exceed 115% of the median average income for your county. You also can onl buy homes in designated areas (which is about 97% of the total land mass in America, but cities and larger towns are excluded). You can learn more about the current USDA rural development loan requirements, and if you would like to see if you are eligible, we can assist you.